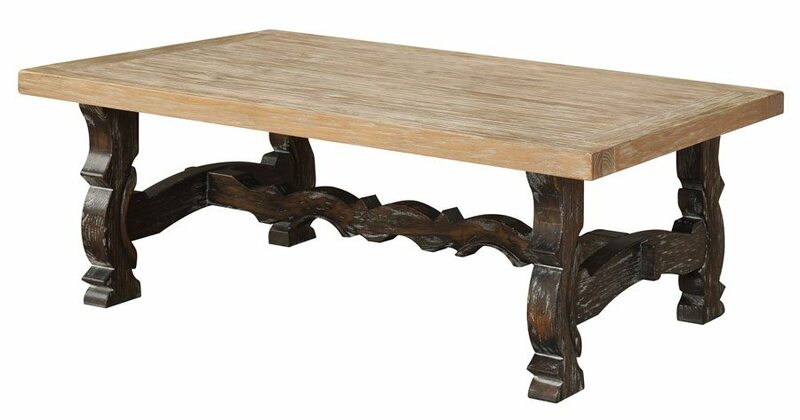 Barcelona Cocktail Table delivers an elegant approach on rustic inspired design. The artistically distressed two-tone finish featured on the charcoal toned base and sandstone colored table top creates character and complexity. Categories: Living Room Furniture, Tables.